For the past five years, it looked as if a cherished literary tradition was at risk of dying out for good. 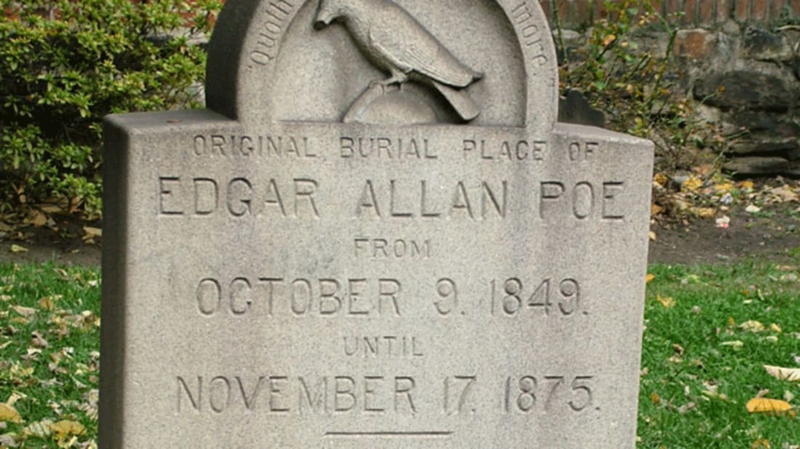 An anonymous figure dubbed the “Poe Toaster” had been visiting Edgar Allan Poe’s grave site in Baltimore every year on his birthday, reportedly since the 1940s, only to suddenly vanish after 2009. This weekend, the practice was brought back from the brink of extinction when the newest incarnation made the legendary trip to the writer’s grave. While the origins of the original Poe Toaster had previously been shrouded in mystery, this latest figure was selected through an organized competition. Last fall, the Maryland Historical Society held auditions for “Baltimore’s Next Poe Toaster” with plans to restore the tradition in time for Poe’s birthday in 2016. Competitors were required to give a live performance that could include “anything within the bounds of the imagination” (just so long as it was Poe-related). And while the winning Poe Toaster had to be seen in public in order to be selected, his identity was kept anonymous. On January 16, the Poe Toaster fulfilled his newly appointed destiny when he visited Edgar Allan Poe’s grave before an audience of onlookers. The festivities began that afternoon with a dramatic reading of “The Cask of Amontillado” followed by a toast of apple cider and a raffle to take home a Poe-themed cake. The crowd of close to 100 then clustered around the grave to await the arrival of the new Poe Toaster. Like the Toasters of years past, the figure was dressed in all black with a white scarf draped over his shoulders and a wide-brimmed hat worn to conceal his face. He poured himself a glass of cognac and left the bottle behind with three red roses, also keeping with tradition. But this rookie Poe Toaster introduced his own spin on the time-honored tradition: In addition to executing the ritual in the daylight, he performed a rendition of Camille Saint-Saëns's "Danse Macabre" on the violin and left his instrument leaning against the headstone beside the flowers and liquor. Though the event took place over the weekend, Poe was born on January 19, 1809, making today his actual birthday. If you can’t make it to his grave in Baltimore tonight, feel free to pour yourself a glass of cognac in his honor.